Wood Lock Medicated Balm is a strong, penetrating liniment that moves stagnation of blood at injury sites, making it warming and analgesic. 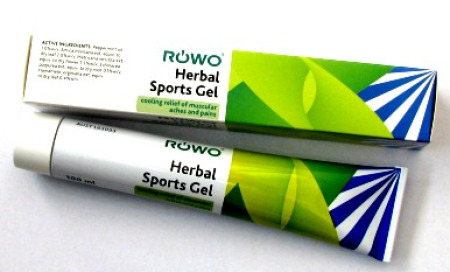 Use for muscle aches and pains, sprains, strains of muscles and tendons and minor arthritic problems. Best for older injuries where swelling has gone but pain remains. 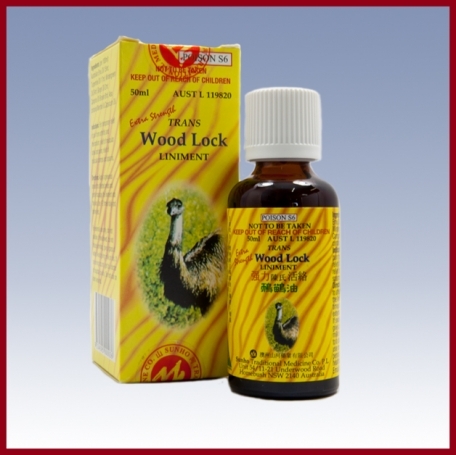 Adult and children 2 years of age and older, apply a few drops to affected area and rub gently 3 to 4 times daily. Methyl Salicylate (17%), Menthol (15%), and Camphor (4.5%), Zheng mu, Shui yang suan ja zhi, Bo he nao, and other unlisted proprietary ingredients.